A bomb blast targeting an election candidate wounded at least 12 people in Pakistan’s commercial hub of Karachi as historic elections got underway today. The target of the attack, Amanullah Mehsud, escaped unhurt. The election marks the first democratic transition of power in the nuclear-armed state but the run-up to the polls has been marred by Taliban attacks that have killed more than 120 people. Taliban spokesman Ehsanullah Ehsan said to revolt against this system, the Taliban has planned several actions today, so it appeals to the people to stay away from polling stations to save their lives. 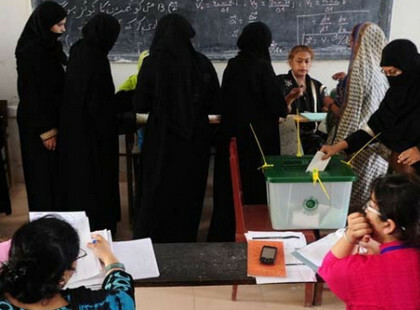 More than 600-thousand security personnel are being deployed nationwide and around half the estimated 70-thousand polling stations have been declared at risk of attack, many of them in insurgency-torn parts of Baluchistan province and the northwest. Yesterday, a candidate for the provincial assembly in Sindh was shot dead along with two supporters in Karachi.